The Chevrolet Monte Carlo traces its roots back several decades to the height of the muscle car era, when Chevy sought to entice customers with a sporty, upscale rear-drive V8 coupe that provided a balance of performance and comfort in a stylish package. From those early years - which included big-block Super Sport editions - the Monte Carlo evolved toward a more luxury-oriented persona, saw significant downsizing (to optimize fuel efficiency) and soldiered on as a popular rear-drive sport coupe until 1988, when it was replaced by the Lumina coupe. The Monte Carlo remained a popular seller and even regained the SS version (initially offered for 1970-71 with 454 cubic-inch V8) from mid-1983 to 1988 with a high-performance 305 cubic inch V8. 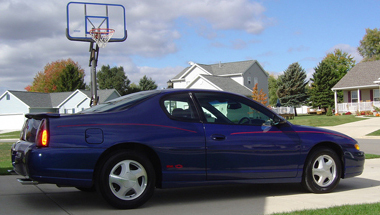 Following a lengthy hiatus, the Chevy Monte Carlo emerged once again in 1995. However, by then it had been softened and saddled with a carryover front-wheel-drive platform and V6 engines that barely hinted at the performance of years gone by. It was, in essence, a Lumina coupe. 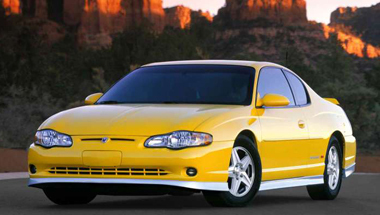 The current-generation Chevrolet Monte Carlo coupe debuted in 2000 with more distinctive styling and updated underpinnings from the Impala sedan to better meet the needs of today's buyers. 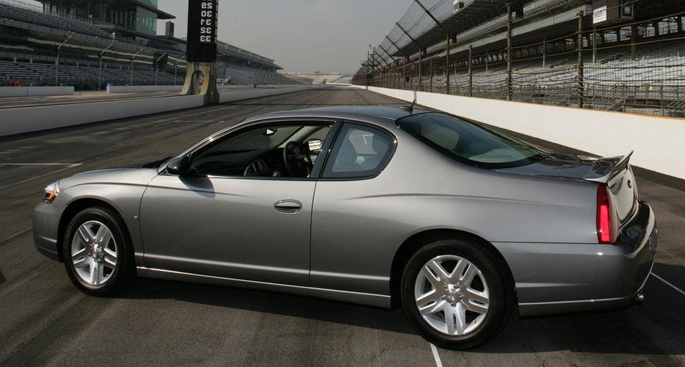 Significant changes in 2006 helped the Monte Carlo come nearly full circle back to its original mission with sportier chassis tuning, improved driving dynamics, and more power in SS models, which freshened interior and exterior styling offer a sculpted and pleasing contemporary appearance with Chevy Monte Carlo Accessories. In spite of those updates, sales remained sluggish and the Monte Carlo was gone after the 2007 model year. The new generation Chevy front end, particularly, is much smoother and does hang together better visually than before. Where previous Montes breathed through two narrow air slots above the bumper and a cheap-looking body-color mesh below it, the new design features blacked-out rectangular openings top and bottom, with a prominent gold Chevy bow-tie front-and-center. Similarly, the old Monte's odd frog-eye headlamps have given way to a more conventional shape housing three independent lighting units. Chevrolet says the new lamps are not only better looking but are more effective. The front air dam is deeper, smoother, and looks much less like something taped on in the heat of battle. The overall effect is far more handsome.The Monte Carlo SS is distinguished by a black-diamond crosshatch billet grille, and a purposeful rear spoiler that emphasizes the car's NASCAR heritage. Corvette-inspired bright exhaust outlets also are standard on the SS, and a new Rally Stripe package is available. The interior of the Monte Carlo was restyled for a cleaner, simpler, and more tailored appearance. The leather-covered seats feature deck seams around their perimeter and French seams on the center cushions. Audio systems on the 2007 Monte Carlo feature new, simple-to-operate radios that are compatible with the OnStar system. The base setup comes with six speakers and CD/MP3 capability. A Bose system with eight speakers is available. An in-dash six-CD changer is also available. All radios include a standard auxiliary input for external devices, such as an iPod or MP3 player, to be played through the vehicle's audio system. The input is located in the lower right corner of each radio. The trunk is large, but the opening is relatively small, making it difficult to load big boxes.